The Hardware House at the corner of Mann and Williams has electric toasters on special. “Good-Bye Mr Chips” is playing at the Valencia. And war’s just been declared on Germany. It’s spring time. A mechanic from Bega wonders if they’ll have electricity at the petrol station this morning. He and his wife Evelyn own it now. It’s the one opposite the railway. With the little workshop attached. Soon, the government will begin rationing petrol and access to everyday trading items will be harder to come by, so the mechanic starts to tinker with parts from one vehicle and get them to fit another. He gets good at it. The mechanic’s name is Fred Booth. And for Fred Booth, operating the fuel bowser by hand crank during blackouts is backbreaking work. So he modifies the pump. Now it operates by pedalling a bicycle fixed to a stand. Much easier work. And good exercise for the local lads. Fred’s inside his workshop now. Performing miracles with modified parts. His nine year old son Kevin is out front, pedalling petrol for a steady stream of passing traffic. Today, nine year old Kevin is still a fixture on the lot at Booth’s Motor Group. Only he’s a man in his eighties. There’s a lot about the scene at Booth’s that looks different in 2018. But one thing hasn’t changed since the spring of 1939: business at Booth’s is still a family affair. David Booth sees to it that it stays that way. A third generation carman himself, David was only a kid when he started with the family business. Same as his father. After David was awarded his Higher School Certificate, he left to complete a Bachelor of Commerce degree at UNSW and then completed a shortened Motor Mechanic apprenticeship. But even with those accolades under his belt, the path to becoming dealer principal at Booth’s Motor Group wasn’t paved in gold for David. Nothing was going to be handed to him. 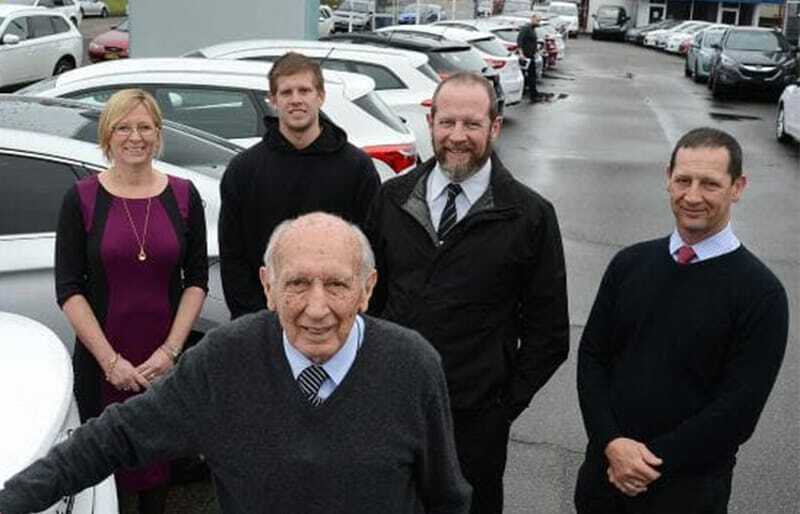 “I spent time in the workshop carrying out services and then later moved into the accounting side of the business.” It was there, on the financial side of operations, that David really helped to take the family business to the next level. But even as David helped bring Booth’s into the modern era, he never lost sight of what it was that made the business a success to begin with. “I think the family involvement makes a big difference. If anyone has a problem, they can speak directly with someone who owns the business.” And that’s something a lot of larger, less established dealerships just can’t compete with. After spending just a couple of minutes with David, it’s easy to tell that providing customers with the best service possible is more than a marketing line. It’s part of Booth’s legacy on the Central Coast. The proof is in the pudding too. When the Pacific Highway was rerouted with the construction of the F3 freeway in the 1970’s, many Gosford businesses feared it would be the end of them. Some packed up and moved. Booth’s stayed true to their local roots. And as it turned out, the new F3 freeway actually freed up much of the congestion that had started to become a problem downtown. And the city flourished. When Fred and Evelyn Booth first started selling cars in the early 1940’s, they were Rootes Group vehicles that included Hillmans, Humbers and Sunbeams. And the company enjoyed decades of success dealing in those models. When Chrysler took over the Rootes Group in 1972, Booth’s followed suit and started selling Chryslers. After yet another takeover a decade later in 1982, Booth’s became a Mitsubishi dealership with Hyundai eventually being added to the mix. That’s a team that includes factory trained technicians who are able to provide a level of service that you just can’t get from even the best corner-shop mechanic. These days it’s hard to find a local business that can provide the latest information and technologies mixed with the best of what a bygone era had to offer in reliability and service. But that’s what Booth’s was built on. And when your foundation is that robust, you’re able to build just about anything on top of it. And when David Booth says that, you’ve got to believe that somewhere right now, a mechanic from Bega and his wife Evelyn, are listening in. With smiles on their faces.